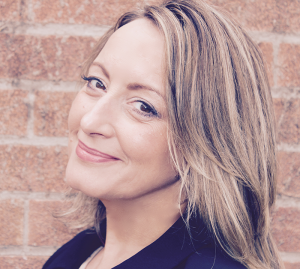 My HR Hub was created by Rebecca Bull, a Chartered Fellow CIPD professional, who has over 20 years’ experience in the industry. Rebecca has worked across a number of sectors, including design, manufacturing, sport, retail, hospitality, computer games and renewable energy in the UK and abroad, and for household names including Games Workshop, Convergis, and Speedo International. “I am very passionate about what I do and have been fortunate to work with some fantastic global companies, start-ups, and fast-growth companies of all shapes and sizes across the world. I have worked in sectors including design, manufacturing, sport, retail, hospitality, computer games, renewable energy and HR Systems in the UK and abroad. I have personally led more than ten start-up businesses through fast growth in standalone HR roles. “I’m currently working with some of my clients to gain recognition for being a certified Great Place to Work, which is really exciting. As a result of my work, I have seen staff become more engaged and companies become ‘employers of choice’, which has improved their performance clearly and tangibly. It’s results like this that give me real energy. “Over the years I have offered a broader range of HR and business improvement services that are cost-effective and tailored to the values and cultures of each business that I am fortunate enough to work with. “It’s not a ‘one size fits all’ approach; our support is bespoke, considered and carefully executed with your business in mind. We don’t just give you a tick box exercise telling you what you should do, and instead offer creative options based on how you want to run your business. I think this sets us apart from the more traditional HR consultancies, we work with you to make your business work. “Our services now extend to recruitment portals, application systems, and Cloud-based HR. I enjoy trail blazing, and so offering products that will give small businesses the same capability that larger organisations have at lower budgets is a win-win. “I love networking, so I feel passionate about partnering with small businesses and helping them to be the best they can be when it comes to their people capabilities, so I am really proud to offer these solutions alongside some great partnerships with hand-picked suppliers that really understand small businesses too. Why do our clients work with us? How do our client work with us? At My HR Hub we know that not all businesses have the need or budget for a full-time, in-house HR director and professional HR team. We offer a flexible outsourced HR service with bags of expertise, meaning that we can deliver what you need when you need it. We would welcome an initial complementary chat over a cup of tea (we love a good cuppa! ), about how we could help you. We have a range of options on how we can work together based on your budget and whether you need short, medium, or long term support.